“IT’S YOUR JOB TO FIGURE OUT WHAT ADHD IS.” These words, spoken decades ago, helped shape the career of F. Xavier Castellanos, M.D., a leader in the field of functional brain imaging. 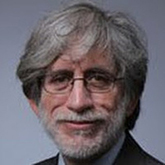 The command—offered more as friendly encouragement—was given by his mentor, Judith Rapoport, M.D., a longtime member of the Foundation’s Scientific Council and Chief of the Child Psychiatry Branch at the National Institute of Mental Health. Today, while Dr. Castellanos modestly insists that the study of the brain is still in its infancy, he and colleagues have made great progress toward fulfilling Dr. Rapaport’s wish. Last year, his many achievements were recognized by the Foundation when he was named co-winner of the Ruane Prize for Outstanding Achievement in Child and Adolescent Psychiatric Research. Attention deficit hyperactivity disorder is the most common neurodevelopmental disorder, affecting at least five percent of children and adolescents, and possibly as many as 9.5 percent. Dr. Castellanos can point to an experiment in the late 1990s that changed the direction of his research on the disorder. At the time, he and a colleague decided to conduct a simple eye-tracking experiment. ADHD was already well described in the clinic by doctors who had been diagnosing it for decades, but it was not very well understood biologically. Its characteristic symptoms—a child’s difficulty in focusing, the tendency to act impulsively, and sometimes to be hyperactive—were thought to reflect deficiencies in what brain researchers call executive function. Since stimulants like the drug methylphenidate (Ritalin) were often effective in curbing ADHD symptoms, it was further assumed that the disorder might involve irregularities in the brain’s reward system and with the message-carrying neurotransmitter dopamine. This was an interesting if not unexpected result, since children with ADHD have trouble paying attention. But then something curious happened when the scientists repeated the experiment with children in the ADHD group. “The kids whose eyes were wandering all over the room in the first trial were mostly focused on the screen the second time; those who had been focused the first time now did poorly. Almost none of the kids had the same result in both trials! It really drove home how variable the kids with ADHD were,” Dr. Castellanos says. Fortuitously, around the time of the experiment, he had been introduced by a colleague to a new area of research that involved using magnetic resonance imaging (MRI) to study the human brain in what is called the “resting state”—when it was not engaged in a conscious task. Previously, “functional MRI” had been used to see which parts of the brain “lit up” when a person was asked to do a specific mental task—like focusing on a dot in the center of a computer screen, or adding a column of numbers. Such task-related brain activity produces local changes in how much oxygenated blood is delivered to specific brain regions, and in fMRI this is translated into a visible signal. First performed in 1995, resting-state fMRI scans (R-fMRI) revealed something unexpected. The “resting” brain was also active, and active in highly characteristic ways–in patterns that were virtually identical in different individuals, of different ages, across the sexes. R-fMRI showed that large swaths of the brain fluctuate— in synchrony—at very slow speeds. The timescale of most “task-related” brain signaling is in hundredth-of-a-second increments. Astonishingly, in the resting-state brain, signals generated within and between large-scale neural networks fluctuate over many seconds, sometimes in waves lasting more than half a minute. All of this ran against prevailing theories of how the brain works. Looking at how much energy the brain used in the resting state was, for Dr. Castellanos, a crucial revelation. The brain consumes about 20 percent of the body’s energy even though it accounts for a tiny fraction of its mass, and it became clear that it devotes most of that energy to maintaining itself in the resting state. “The brain invests so much in this intrinsic activity that it has to be indicative of something profound,” he says. It turns out that the human brain is something like a computer with a power-hungry operating system running constantly in the background, on top of which specific “apps” are launched. When such tasks are undertaken—for example, when the brain receives data from the senses and processes it—parts of the brain that make up the resting state’s “default network” are repressed somewhat. But they never cease their activity, which tends to wax again when the brain pauses before re-engaging on the next task. The inconsistency in the ability of children with ADHD to focus that Dr. Castellanos saw in his 1990s experiment, along with other behavioral symptoms of the disorder, including pronounced variability on tests measuring reaction time, led him to image the ADHD-affected brain. Popular theories of the disorder had pointed to dysfunction in circuity connecting the prefrontal cortex (executive function), the striatum (reward system) and the cerebellum (motor control). In 2007 he and colleague Edmund Sonuga-Barke, Ph.D. made an influential suggestion that ADHD pathology goes well beyond this circuitry. They proposed that it involves a number of different large-scale, resting-state networks. Specifically, they suggested that portions of the default network were falling out of synchrony—activating out of phase with one another and giving rise to symptoms. In the intervening years, functional imaging has made “a quantum leap” forward in technological terms, in Dr. Castellanos’ words. Images obtained using functional MRI today are the equivalents of what high-definition TV is to grainy, black-and-white TV technology. Resolution is greatly enhanced, and researchers have been inspired to assemble vast data sets consisting of scans of large sets of people. As a result, functional brain imaging today is poised as never before to help explain pathology in disorders, not only ADHD but perhaps depression, anxiety and other conditions. The imaging projects that have been completed so far have raised fascinating questions, including what it means to be considered “normal.” The scans reveal what scientists call inter-individual variation in exquisite detail, and have already prompted some experts to wonder whether understanding the brain in terms of the functioning of large-scale neural networks will change the way disorders are diagnosed and classified. The considerable body of work on ADHD and resting-state fMRI that has been published over the last decade has led to a few interim conclusions. One conclusion is that a diminished suppression of default-network activity, while the brain is faced with specific tasks requiring attention, appears to be related to lapses in attention that are among ADHD’s telltale symptoms. Another interesting set of findings concerns brain scans of ADHD patients being treated with stimulants. These have shown that among those taking the medicine, suppression of the default network returns to normal levels in two important parts of the brain, the prefrontal cortex and posterior cingulate cortex. This suggests why the drug is able to help some patients. Separately, other research has shown that youths with ADHD who were scanned while off their medication did not deactivate their default network unless they were offered strong behavioral incentives to perform a given task. As Dr. Castellanos has noted, both of these results “point to dysregulation of the default network rather than its fundamental impairment” in ADHD. This is an important distinction suggesting that what is out of sync can be brought back into sync with treatment, as opposed to a mechanism that is not functioning at all. As research moves forward, investigators continue to study the most important theory emerging from resting-state imaging of ADHD: The relationships between the default network and the networks that control our cognitive faculties underpin lapses in attention and behavioral regulation in the disorder. “We believe it is likely that interactions among functional networks we have identified will form distinguishable neurobiological patterns that can provide the basis for meaningful subtyping of this condition, which varies so markedly from person to person,” Dr. Castellanos says. When he was in residency training, Dr. Castellanos divided his time evenly among two specialties, which meant regularly switching attention between pediatric and child psychiatry. It was 25 years ago, and the separation of the two fields was quite pronounced, more than is the case today. Instead, he decided to give the mother a chance to do what she felt was best, but within supervised limits: He would take a standard infant growth chart and plot against its curve the progress—or lack thereof—of the struggling infant. Everything would hinge on the comparison of the baby’s weight relative to well-established norms. If the baby continued to not thrive, she would be put on formula out of concern for her health and tests could be run to check for an undetected illness. Dr. Castellanos tells the story for two reasons. One is to suggest how satisfying a simple observation can be: Breast feeding continued and the child began, at last, to gain weight. “With that single sheet of paper [showing a normal growth curve], which cost less than a penny, and a couple of pencil marks [plotting the baby’s weight as the days passed], I saved maybe $30,000 worth of tests,” he says. The brain imaging research to which Dr. Castellanos has devoted the better part of his career takes this lesson to heart. Imaging is used to show the human brain as it operates in living people. There is not yet anything like the equivalent of a “growth chart” for different parts of the brain as they develop from the period in the womb all the way to the end of adolescence. But that is one among a number of tools of “Rosetta Stone” importance, Dr. Castellanos says, that he and others in the functional imaging field are in the midst of developing.